Swedish FM: "I'll be Happy to Send Liberman IKEA Furniture"
Sweden's Foreign Minister, Margot Wallstrom, today, said she would be "happy" to send Israeli Foreign Minister Avigdor Liberman some IKEA furniture. 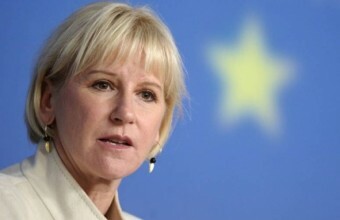 PNN reports that Wallstrom's comments, made during a recent CNN interview, came after Mr. Lieberman, in denouncing Sweden's decision to recognize the Palestinian Authority (PA) as "the State of Palestine," said that "relations in the Middle East are a lot more complex than the self-assembly furniture of IKEA". "I think it's a sign of a sense of humor, and I will be happy to send him a flat pack of IKEA furniture and he will also see that what you need to put that together is, first of all, a partner," Wallstrom said in response. "You also need to cooperate and you need a good manual. I think we have most of those elements if we want to use them also for the conflict in the Middle East. For peace you need two parties to actually sit down at the same table and discuss the future," she added. "We think that now is the right time [to recognize a Palestinian state]. We think that the legal requirements are fulfilled but also it is timely because we've had a very serious situation on the ground. "We hope that we can make the parties a little less unequal, that we might inject some new dynamics into the suspended peace talks and also give hope to young people that there is an alternative to violence and war and conflict." Just hours after his criticizing statement, Liberman recalled Israel's ambassador to Sweden, Isaac Bachman. 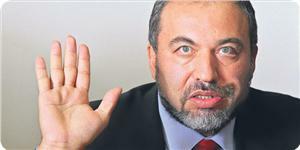 Lieberman: "Politics More Complicated Than IKEA Assembly Stores"
Palestinian President Mahmoud Abbas welcomed the Swedish decision to recognize Palestine as a State, and said this decision in coherent with International Law and all related resolutions and treaties. Abbas stated this decision served as a message to Israel in response to its ongoing illegal occupation of Palestine, and called on world countries to do the same so that the Palestinians can establish their independent Palestinian State, with East Jerusalem as its capital. He added that the Swedish decision was a historic move that comes in response to Israel’s ongoing violations and occupation. 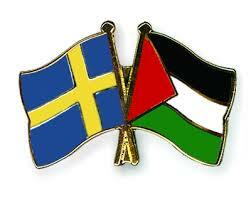 Abbas also called on world countries to follow Sweden’s lead to increase the chances of achieving comprehensive peace. Presidency spokesperson Nabil Abu Rodeina said the decision complies with International Law, and all related UN resolutions, especially the 2012 UN recognition of Palestine as an observer member state. Israel recalls ambassador after Swedish government recognizes Palestine. After the Swedish government officially recognized the state of Palestine Thursday, Israeli officials announced the withdrawal of the Israeli ambassador from the northern European nation. The recognition by Sweden’s newly elected government marks the largest Western European nation to recognize the state of Palestine. Malta and Cyprus have also recognized Palestine as a state. Margot Wallstrom, Sweden’s Foreign Minister, made the announcement Thursday morning that the Swedish government would officially recognize Palestine, following a promise made earlier this month when the Social Democratic coalition took office. Palestinian legislator Hanan Ashrawi called the Swedish move "a principled and courageous decision”, and added, "It is our hope that other EU member states and countries worldwide will follow Sweden's lead and recognize Palestine before the chances for a two-state solution are destroyed indefinitely." Sweden has long offered a safe haven for Palestinian refugees, providing them with Swedish citizenship and assistance if they chose to move to Sweden. But the government of Sweden also recognizes the importance of Palestinians remaining in their homeland, as Israeli settlements continue to encroach on sovereign Palestinian land. British legislators voted earlier this month to recognize Palestine, but the move was largely symbolic. In addition, the United Nations has recognized the state of Palestine on a number of different levels, but the Security Council resolution proposed for that purpose by the Palestinian delegation has been threatened with a veto by the U.S. government. After peace talks brokered by U.S. Secretary of State John Kerry broke down in April, Israel has feverishly increased the pace of settlement construction on Palestinian land in the West Bank and east Jerusalem. In addition, Israel launched a massive invasion of Gaza in July that lasted fifty days and resulted in more than 2200 Palestinian deaths, the vast majority of whom were civilians. 64 Israelis were also killed, 3 of whom were civilians. The executive board of UNESCO on Tuesday endorsed draft resolutions that Jordan and Palestine have jointly presented, with Arab, Islamic and international support. The draft resolutions addressed Israeli violations in occupied Jerusalem, the Maghareba Gate, a-Khalil, and Gaza, and against educational institutions. The resolutions were presented under one heading: “Occupied Palestine”. The endorsement took place during the 195th session of the executive board being held in Paris. The board stressed that the legal definition of Israel is an “occupation force”. All Israeli practices in Palestinian territories occupied in 1967 and any change to the pre-1967 status quo is a violation and an illegal occupation measure, the resolution stipulated. According to the resolutions, UNESCO rejects Israeli escalatory measures in implementing unprecedented plans and committing violations that threaten the occupied holy city’s heritage. Such practices include Israeli security forces’ continuous storming of the courtyard of Al Aqsa Mosque, preventing worshippers from reaching the Mosque, direct assaults on Islamic awqaf staff, continuous excavations in Old Jerusalem and banning Awqaf authorities from implementing restoration projects inside Al-Aqsa. The resolution called on Israel to immediately stop all these violations. UNESCO also condemned all Israeli changes to Al Maghareba Gate, the pathway for non-Muslims into the compound, and demanded Israel as an occupation force to allow the Jordanian Awqaf Department to restore the bridge and use a Jordanian design to rebuild it. It also demanded that occupation authorities stop the excavations in the area, respect UNESCO’s decisions and observe the guarantees that Israel has provided that it would not alter the nature of Al Maghareba Gate from the way it was before 1967. The UN agency also urged occupation authorities to accept UNESCO’s expert mission tasked with examining the situation in East Jerusalem and Al Maghareba Gate. The resolutions also denounced the Israeli targeting of civilians, children, schools and other educational institutions in Gaza, and called on Israel to lift the siege according to the Cairo agreement stipulating a long-term ceasefire between Israel and Palestine. The White House is in damage control after an anonymous Obama administration official was quoted in the Atlantic calling Israeli Prime Minister Benjamin Netanyahu a "chickenshit," while a second told the magazine that the Israeli leader was a "coward" when it came to Iran. "Certainly the comments in the article do not represent the administration's view, and we think such comments are inappropriate and counter-productive," Alistair Baskey, a spokesperson for the White House National Security Council, said in a statement. According to congressional sources, White House officials are reaching out to key lawmakers who deal with the U.S-Israel relationship to deny that the bruising quote came from the White House -- leaving the explicit suggestion that a State Department official was responsible for the remark. White House officials told lawmakers that press secretary Josh Earnest would denounce the quote at today's daily briefing. "They're reaching out to us and letting us know that they're outraged," a House aide told Foreign Policy. Another congressional aide said officials attempted to "make clear that the quote didn't come from the White House and that White House officials weren't happy about it." Denying involvement, a State Department official said, "That quote did not come from any senior State Department official, period." The flap began after the Atlantic magazine's Jeffrey Goldberg quoted an anonymous U.S. official saying Netanyahu is a "chickenshit" prime minister, whose only concern is his political survival. 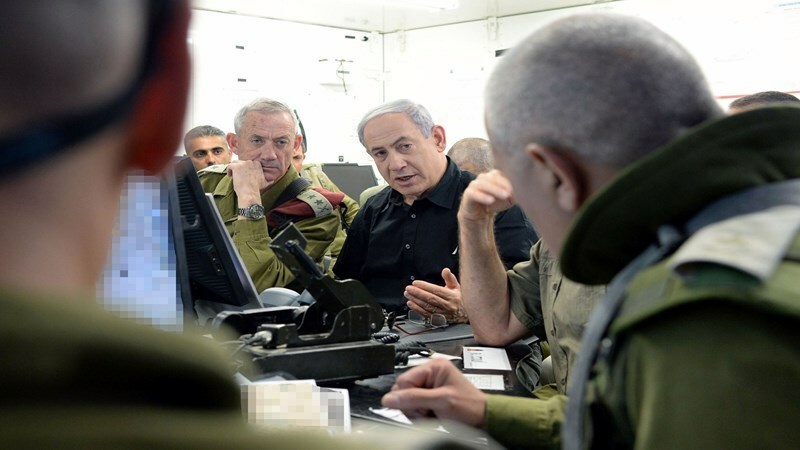 "The good thing about Netanyahu is that he's scared to launch wars," the official said. "The bad thing about him is that he won't do anything to reach an accommodation with the Palestinians or with the Sunni Arab states. The only thing he's interested in is protecting himself from political defeat. He's not [Yitzhak] Rabin, he's not [Ariel] Sharon, he's certainly no [Menachem] Begin. He's got no guts." The other official told Goldberg that the Obama administration doesn't take Netanyahu's threat of a pre-emptive strike on Iran's nuclear facilities seriously. The remarks reflect the latest turbulence in the U.S.-Israel relationship following the high-profile snubbing of Israeli Defense Minister Moshe Yaalon last week -- a move prompted by the minister's blistering public criticisms of the Obama administration's efforts to forge peace between the Israelis and Palestinians. Baskey added that despite the "extremely close" relationship between the U.S. and Israel, the two sides do not agree on every issue. "For instance, we have repeatedly made clear the United States' longstanding view that settlement activity is illegitimate and complicates efforts to achieve a two-state solution," Baskey said. Goldberg's article prompted a defiant response from the Israeli prime minister's office on Wednesday. "Netanyahu will continue to uphold the security interests of Israel and the historical rights of the Jewish people in Jerusalem, and no amount of pressure will change that," the office said. In a sign of how urgently the administration has sought to put out this fire, congressional aides said White House officials didn't even wait for a response from the Hill before trying to do pre-emptive damage control. "Sometimes there are conflicts and we have to reach out to them. They're reaching out to us on this to totally disown it," said the aide. "They're trying to control the narrative." Passing blame for the quote onto officials at the State Department could be difficult given the White House's tight rapport with Goldberg, who has been granted broad access to the Oval Office and multiple exclusive interviews with the president. On Wednesday, State Department spokeswoman Jen Psaki denounced the remarks. "We think such comments are inappropriate and counterproductive. I spoke with [Secretary of State John Kerry] about this this morning and he certainly feels strongly that a war of words is not productive from either side." Coming just days before the midterm elections, Republicans seized on the comments. "He either condones the profanity and disrespect used by the most senior members of his administration, or he does not," said House Speaker John Boehner (R-Ohio). "It is time for him to get his house in order and tell the people that can't muster professionalism that it is time to move on." Meanwhile, the dovish pro-Israel group J Street defended the spirit of the anonymous official's remarks. "Sometimes when a friend sees a friend go off on the wrong path, there is a duty to sound a warning," said Alan Elsner, vice president of communications for the group. "Netanyahu, for narrow political reasons, has thrown in his lot with the settler movement and is leading the country in a disastrous direction which alienates Israel from its friends and supporters across the world, puts more and more obstacles in the path to a two-state solution, and will ultimately threaten Israel's democracy." US relations with Israel have plunged to new depths of bitterness and hostility as senior officials in the Obama administration decried Binyamin Netanyahu as a “chickenshit prime minister”, “coward” and a man more interested in his own political survival than peace. The furious assessment delivered in anonymous but no-holds barred comments in an interview with the American journalist Jeffrey Goldberg in the Atlantic underline a state of anger with Netanyahu that is characterised as “red hot”. The remarks are particularly telling in having been made to Goldberg, a Washington insider who has interviewed both Obama and Netanyahu, and who warned US-Israeli relations were in a “full-blown crisis” that could only get worse after the midterm elections. Speaking to the Israeli parliament – the Knesset – a few hours after the comments were revealed, Netanyahu angrily insisted he was “under attack simply for defending Israel”, adding that he “cherished” Israel’s relationship with the US. The Obama officials’ comments underline the dismal state of relations between the Obama administration and Netanyahu after a series of damaging announcements by Israel – including again this week – regarding its determination to push ahead with settlement building in occupied East Jerusalem and the West Bank. The temperature of relations plunged again last week when Israel’s defence minister, Moshe Yaalon, was pointedly snubbed by senior administration officials during a visit last week to Washington, which itself followed a public warning from the White House that Israel risked alienating its “closest allies”. In comments designed to further sting Netanyahu, who has expended huge diplomatic effort on attempting to derail any deal with Iran over its nuclear programme, another official suggested the White House no longer believed Netanyahu would launch a pre-emptive strike on Iran to prevent it obtaining nuclear weapons. A White House spokesman sought to distance the administration from the remarks, insisting they were “inappropriate and counter-productive”, adding Netanyahu and Obama have “forged an effective partnership”. 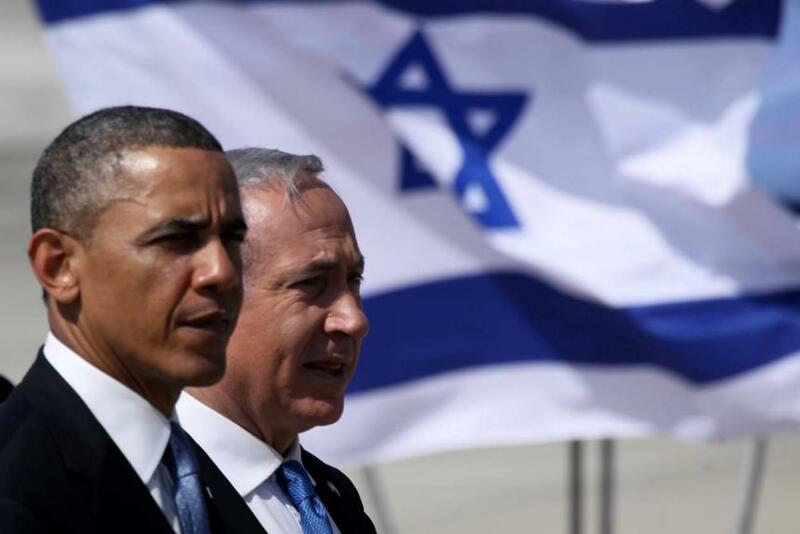 The comments are the latest in a series of high-profile spats between Washington and Netanyahu’s government. Relations began their sharp decline when defence minister Yaalon accused the US secretary of state, John Kerry, of being “obsessive and messianic” in his pursuit of a peace deal between Israelis and Palestinians. Later, in off-the-record remarks, Kerry warned that Israeli risked becoming “an apartheid state”. On Wednesday Netanyahu told the Knesset: “I am not prepared to make concessions that will endanger our state. Understand, our national interests, topped by security and the unity of Jerusalem, are not what top the interests of those anonymous forces attacking us, and me personally. I am under attack simply because I am defending the State of Israel. If I didn’t stand firm on our national interests, I would not be under attack. Responding to the remarks in the Atlantic late on Tuesday night, Israel’s far-right economics minister, Naftali Bennett, used his Facebook page to call for Washington to renounce the comments: “If what was written [in The Atlantic] is true, then it appears the current administration plans to throw Israel under the bus. Israeli prosecution has demanded a list of charges be brought against Palestinian Member of the Knesset, Hanin Zoabi, saying that she 'threatened' and gave sharp criticism of a Palestinian serving in the Israeli police force. The Israeli Attorney General ordered the opening of an investigation file regarding complaints by the policeman, after Zoabi scolding him during protest against the latest Israeli aggression on Gaza, saying that he stood at the side of the oppressor, according to the PNN. Zoabi, following investigation, stated that the charges against her were the offspring of racism and Israeli fascism which escalated during the 51-day military operation in Gaza, which killed some 2,200 Palestinians, most of whom were civilians. Ms. Zoabi added that "the people who should be prosecuted are the ministers who incite killing and murder". The Kenesset ordered a 6-month deportation for Zoabi, under the pretext of public statements she gave in protest of political issues, sparking anger among Israelis. 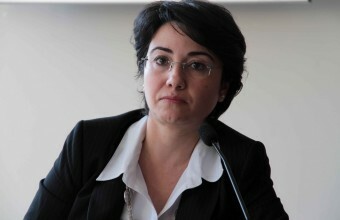 Zoabi encountered wide incitement campaigns from Israelis, according to the PNN, especially in the Kenesset sessions, where she stood against zionism. The Kenesset resumes the debate of the deportation order tomorrow. Defense Minister Ya’alon is kowtowing to the settlers at the expense of the image of the State of Israel internationally and its remaining shreds of morality. Defense Minister Moshe Ya’alon has instructed that Palestinian laborers be prohibited from using Israeli public transportation to travel between their homes in the West Bank and work in Israel. According to the report by Chaim Levinson in Haaretz on Sunday, Palestinian laborers will not be allowed to board buses traveling directly between central Israel and the West Bank at the end of their work day. The minister’s decision comes despite the fact that the Israel Defense Forces see no security risk in Palestinians traveling on Israeli buses, because the only ones to do so are those with entry and work permits who undergo careful security checks when they enter Israel. Thus, Ya’alon’s decision is purely a result of his having given in to the longtime pressure exerted on him by settlers demanding that Palestinians not be allowed to board “their” buses. Ya’alon’s decision also means a heavier burden on the Palestinians in the West Bank. Few among them are allowed to work in Israel, and those who are allowed to work in Israel face an exhausting, humiliating and painful experience on their way to and from work. Now, Ya’alon is making it even harder on them. The defense minister made it his goal a long time ago to satisfy the settlers; to dance to their tune and make almost all their wishes and demands come true. He does this out of cynical personal and political considerations - to reinforce his status as a leader of the extreme right. The saga of his murky relations with the American administration following his disparaging remarks about Secretary of State John Kerry and other senior officials shows how much Ya’alon longs for the settlers’ embrace. This time, Ya’alon is kowtowing to the settlers at the expense of the image of the State of Israel internationally and its remaining shreds of morality. And all by abusing a few tens of thousands of Palestinians permitted to make a paltry living in Israel. Ya’alon’s has instructed the Civil Administration to prepare for the implementation of his decision until it can be done in practice. It would be better for him to annul it immediately and remove this shame from Israel. The Israeli army has been removed from the list of armed forces now taking part in multinational military training exercises on the Italian island of Sardinia following large scale BDS campaign mobilized by international anti-war activists. On 31 July, the Italian defense ministry published a note without mentioning Israel, saying that the planning stages for the drills had not yet been completed and only upon completion would the participating countries be confirmed. 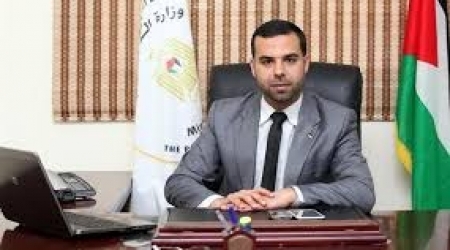 Fawzi Ismail, president of the Sardinia-Palestine Friendship Association, said, “We can consider this a small victory. It demonstrates that grassroots pressure can affect government decision-making”. Gaza's Interior Ministry in Gaza issued a statement, on Saturday, which refuted all accusations that Gaza is behind the recent attacks on Sinai, by affirming that the southern border with Egypt is under tight supervision and strict security measures. Moshe Ya'alon, on Sunday, decided to ban Palestinian workers from travelling on Israeli public transports. He said that the Gaza Strip had nothing to do with events currently unfolding in Egypt, and that the underground tunnels which lie on the border had already become something of the past. Mr. Al-Buzom called on Egypt to exclude the Strip from any post-attack measures which might worsen the suffering of its population, amidst the all-out blockade initiated by Israel and backed by Egypt since 2007. The Ministry described Friday's attack against the Egyptian troops as a "despicable crime", offering condolences to the Egyptian people and their government. In the occupied West Bank, Israeli minister Moshe Ya'alon has chosen to ban Palestinian workers from travelling on public transports carrying Israeli settlers into the northern West Bank. Israeli media made clear, according to Al Ray, that the new measures will ban Palestinian workers from Israeli public buses, though the army sees no potential security danger to be noted. Mr. Ya'alon made the decision after hearing Israeli settlers who refused to tolerate Palestinian workers on their buses. In light of this decision, Palestinian workers must travel to Eyal crossing, near Qalqilya, and then take buses to their homes from there. 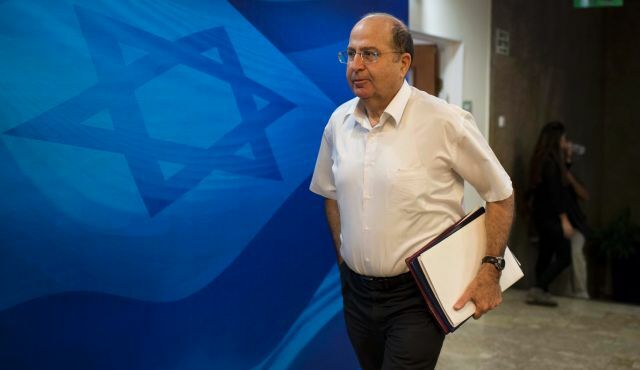 Ya'alon informed the setters that the decision will be enacted next month. He additionally asked the Israeli civil administration to direct instructions and explanations to Palestinian workers, and to provide alternatives to Israeli transports. The army says that Palestinian workers do not constitute a security risk to Israeli settlers who ride with them on the same buses, additionally noting that the workers hold the necessary permits under the requirements of Shin Bet security, and that they are subjected to a thorough inspection at the crossing.